I am really enjoying sketching my camera collection. 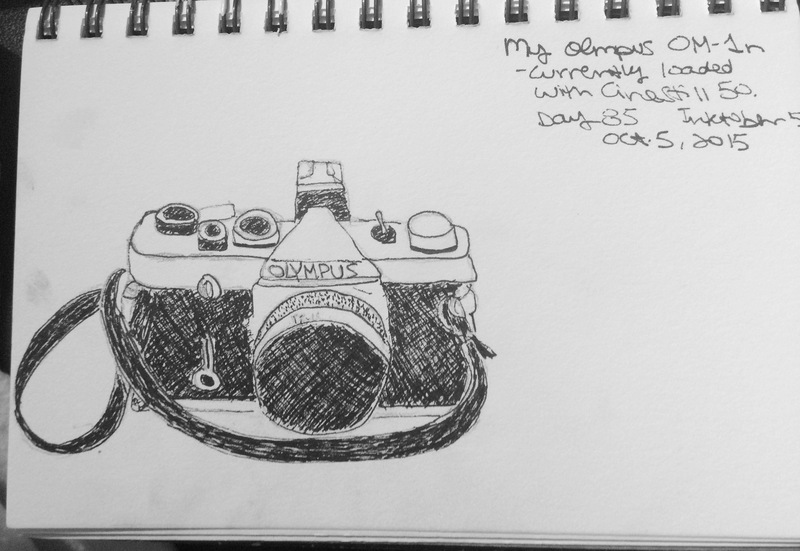 Here is my Olympus OM1. I’ve dusted it off and have been playing with it this past weekend. Loaded with a roll of Cinestill 50 since it’s been really sunny out. You can see more of my drawings over at Gotta Sketch That Itch.